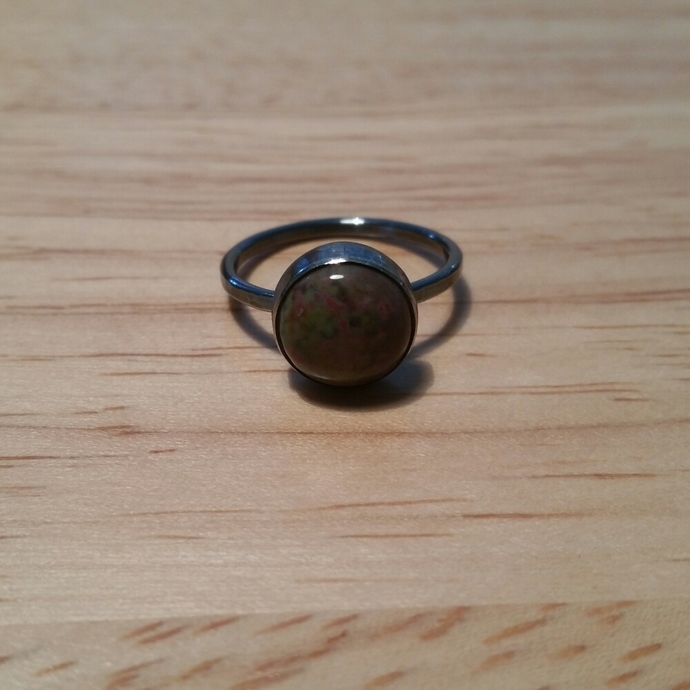 Handmade one-of-a-kind oxidized sterling silver and fancy jasper ring. Fancy jasper comes naturally in a variety of colors, from different shades of green to purple and pink tones. 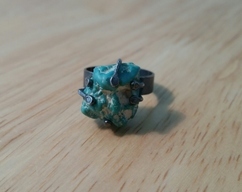 This ring features a round 10mm bezel set fancy jasper with shades of green and pink. 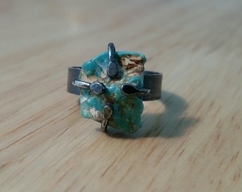 The stone is truly beautiful! It is hard to capture its distinct pattern and colors in a picture. The colors look more vibrant in person. 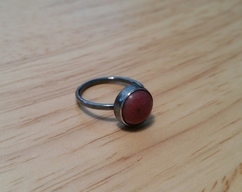 The ring has a shank with a hammered texture and a patina was applied to give it a dark silver tone. 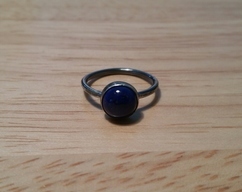 After applying the patina, the ring was lightly polished to highlight its texture. Orders to Puerto Rico and U.S. over $75 receive FREE Standard Shipping! Enter code FREESHIPPING at checkout. International orders over $150 receive FREE Standard Shipping! Enter code INTLSHIPPING at checkout.